Skydive Tecumseh is Michigan’s #1 longest running drop zone, and ideally situated to serve the Detroit, Ann Arbor, Toledo, and Jackson metropolitan areas. We provide professional service in a great, family-friendly atmosphere. 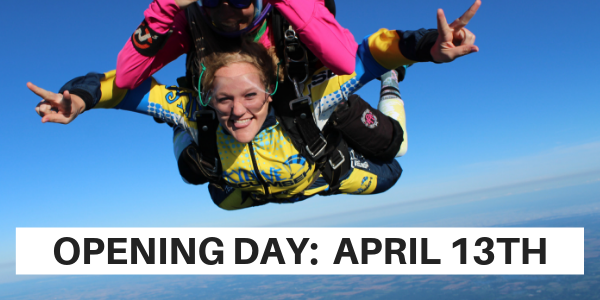 If you’re looking for the best skydiving in Michigan, Skydive Tecumseh is it! What makes the experience at Skydive Tecumseh so great? Find out what sets our dropzone apart from the competition below. We’ve been skydiving for over 53 years and are a proud member of the United States Parachute Association (USPA), a group which regulates strict safety protocols for its member dropzones. We fly a stunning, twin-engine King Air B90 – the fastest skydiving aircraft available in the Midwest. It has excellent safety characteristics, a spacious and comfortable interior, and a super fast ride to altitude. We take you higher than most, up to 18,000 ft! That’s roughly 3.5 miles above the Earth! Read why 18,000′ jumps are so incredible! Skydive Tecumseh is a family-friendly skydiving center. Our team members are dedicated to creating a welcoming atmosphere and providing excellent service to all of our guests. We use state-of-the-art equipment, gear, aircraft, radios, manifest software, and more! Our dropzone features great facilities with a spacious, comfy spectator area where all your friends will be able to relax and watch you land. Feel free to bring a picnic and hang out for the day! We have a huge, grassy landing area with our main area being over 20 acres and the airport being around 100 acres. We employ highly qualified USPA-licensed staff. All of our team members are very friendly and knowledgeable. We have professional on-staff videographers to jump with you and capture your experience with high res digital video and photos so you can relive it over and over with your friends at home. Quite simply, we are the best in the Midwest! Skydive Tecumseh is centrally located within a short driving distance from Detroit, Ann Arbor, Toledo, Jackson, Lansing and surrounding areas. In fact, we often have guests drive from as far away as Canada just to jump with us! 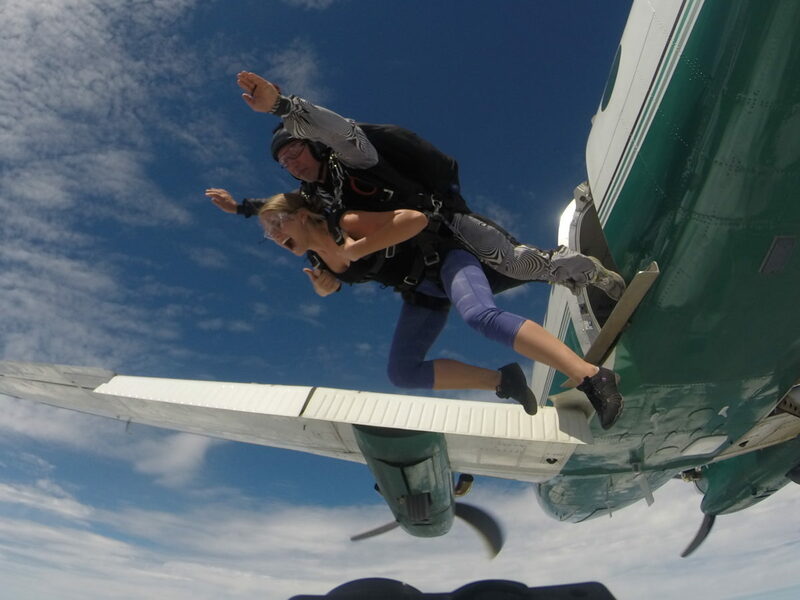 If you’re looking for the best place to skydive in Michigan, Skydive Tecumseh is it! Ready to Jump Now? 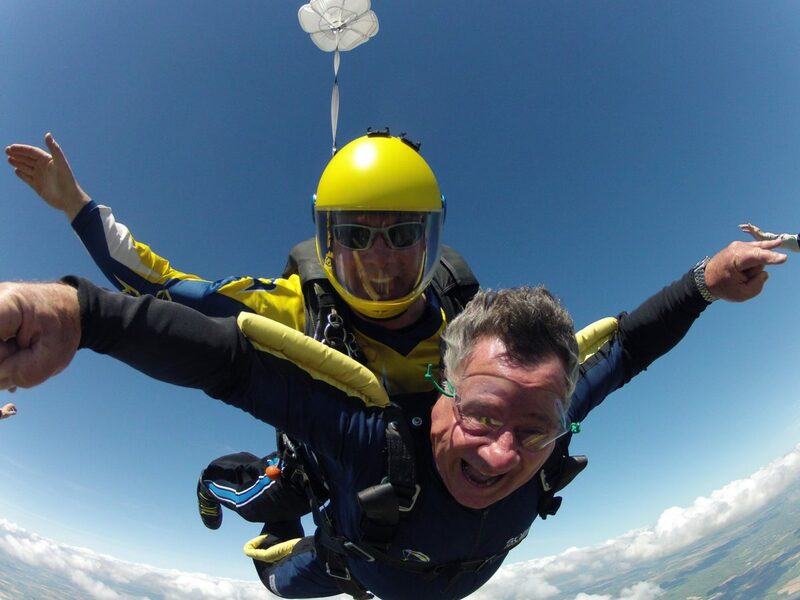 Book Your Skydive Online Today! I drove more than 2 hours to jump with Tecumseh because I wanted a reputable company and I was not disappointed. They were very safety minded and professional. The staff was very friendly and made the whole experience fun! If you're only doing it once, pay the extra and get the video package. Very well done, you won't be disappointed.